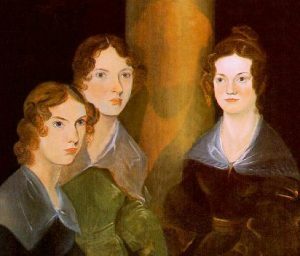 The Brontë sisters, painted by their brother Branwell in 1834. The story of the Brontës, a tragic and brilliant family, is one of the most fascinating tales in all of English literature. Charlotte, Emily and Anne grew up in a bleak Yorkshire parsonage, expecting to become governesses. Instead, they wrote 7 extraordinary novels – passionate, violent, feminist and autobiographical – which they published anonymously. Only Charlotte enjoyed literary fame, as Emily and Anne died soon after publishing their works. Susannah Fullerton presents the incredible story of these sisters of tragedy, performs dramatic excerpts from their books and poems and depicts the Victorian background of repressive attitudes to women against which they struggled all their lives.